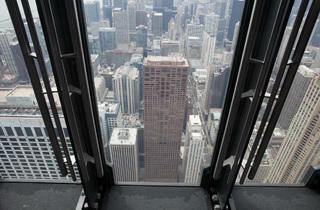 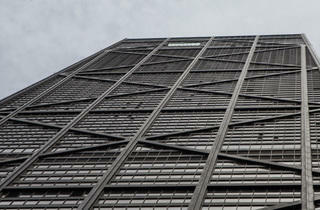 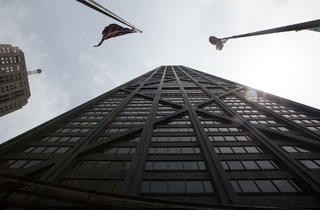 Photograph: Martha WilliamsPreparations for the opening of the new Tilt attraction at the John Hancock Center. 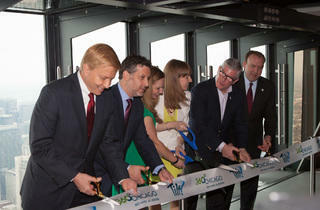 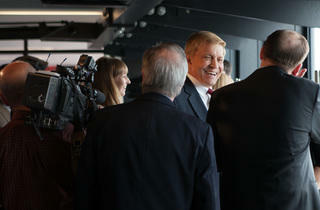 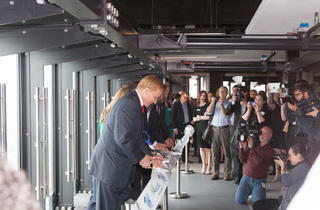 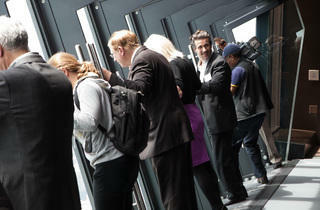 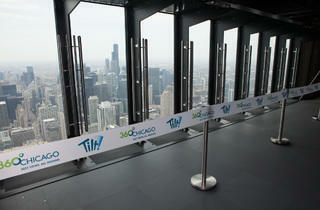 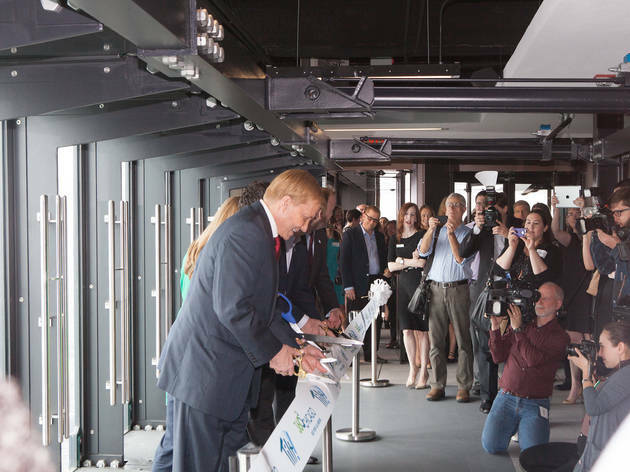 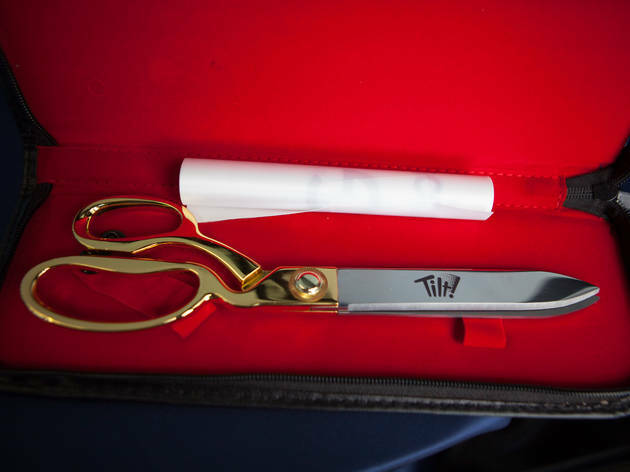 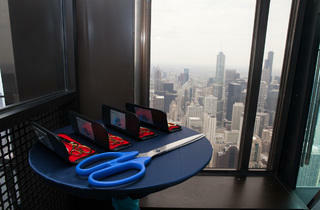 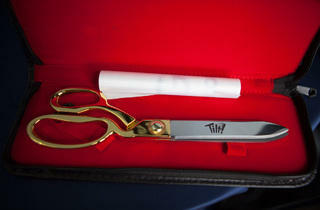 Photograph: Martha WilliamsOfficials cut the ribbon at the opening of the new Tilt attraction at the John Hancock Center. 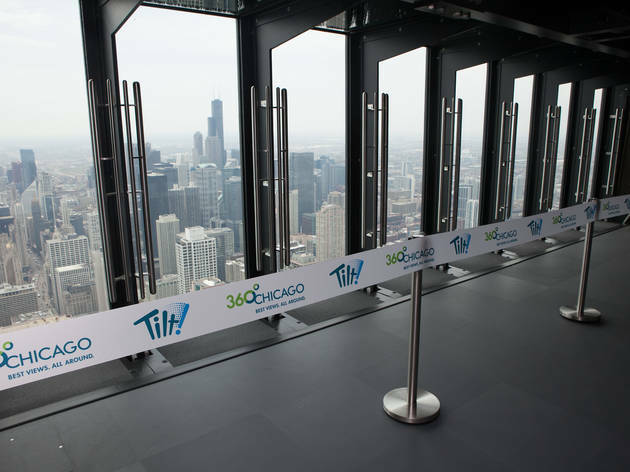 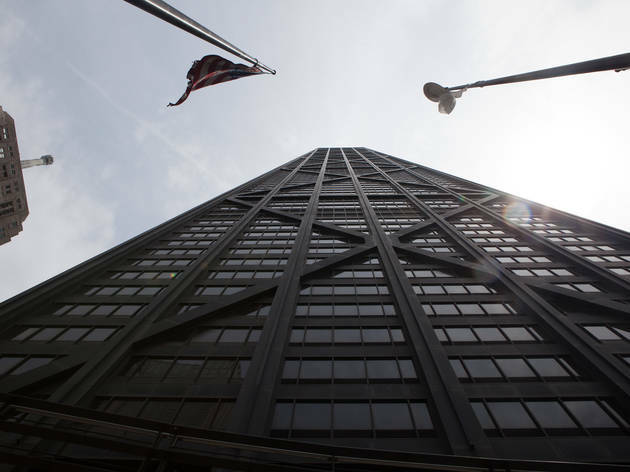 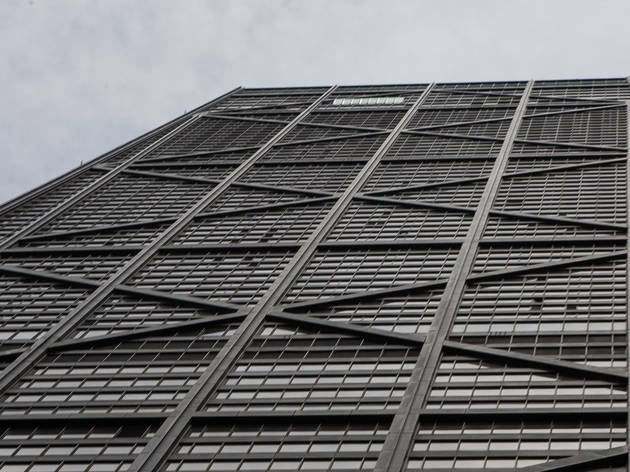 The view from the 94th floor of the John Hancock Center is already breathtaking, allowing visitors to see as far as 55 miles on a clear, sunny day. 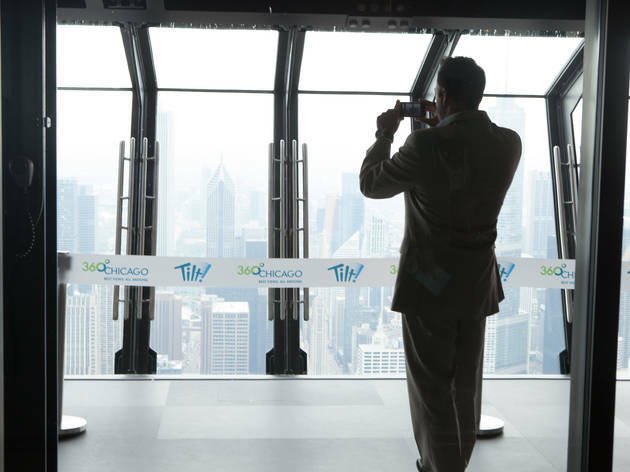 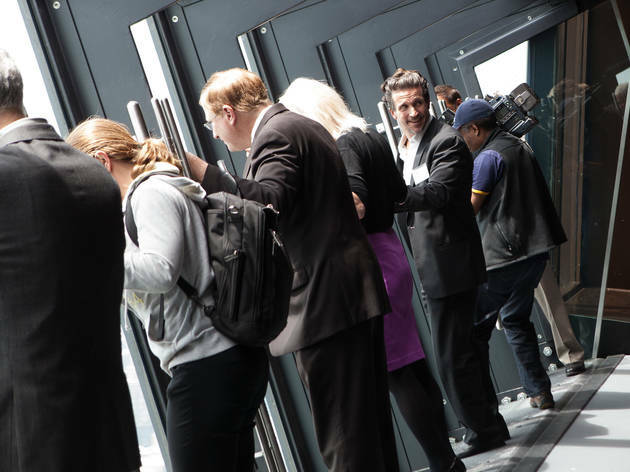 Now the operators of 360 Chicago (formerly the John Hancock Observatory) are offering thrill-seekers a view of the city that is slightly askew. 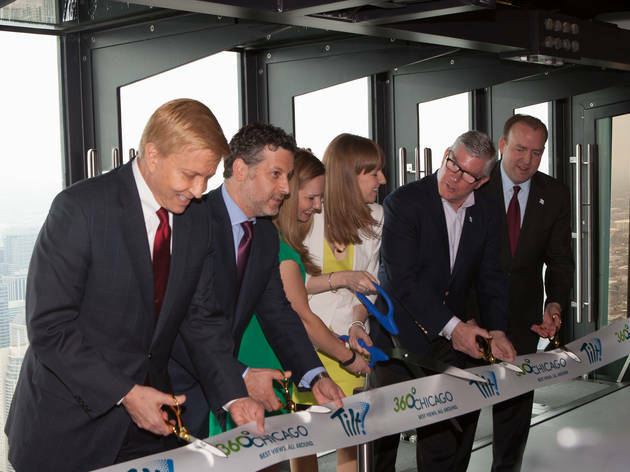 A new attraction called Tilt allows groups of eight guests to step into a specially designed, enclosed platform that (true to its name) tilts outward over Chestnut Street. 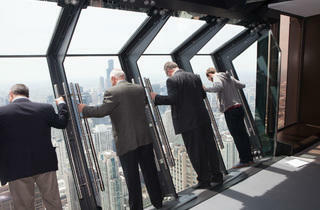 Visitors start the experience standing upright and are invited to grab on to a set of metal bars before the platform begins tilting. 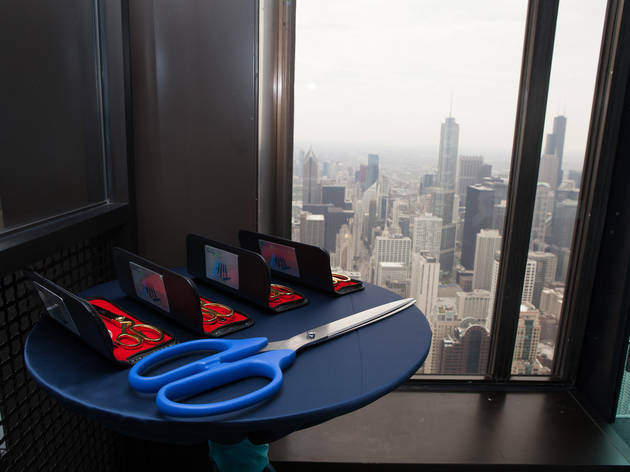 The initial tilt is about 25 degrees, but after a few seconds, the platform continues to move until it reaches an angle of 30 degrees. 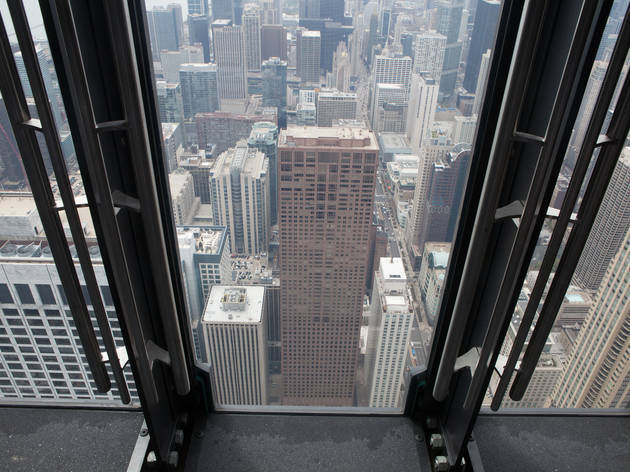 The view is akin to poking your head over the edge of a tall building—it's the sensation of leaning the majority of your body over the side of a building that is truly strange. 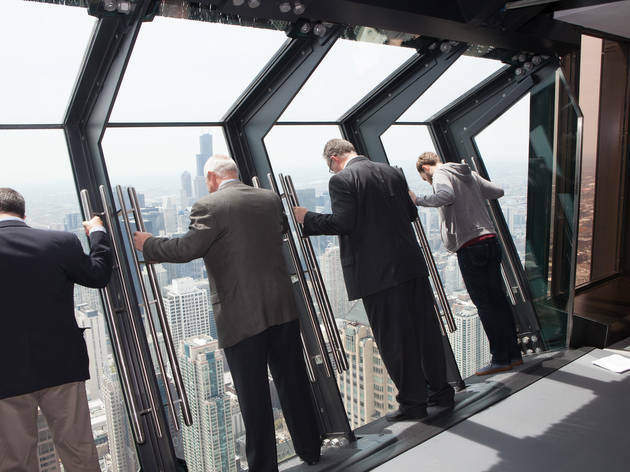 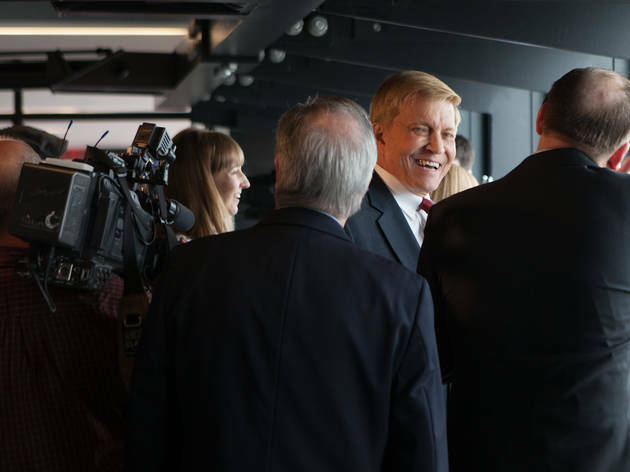 The attraction is an additional $5 on top of the regular admission price for 360 Chicago ($18), but we're sure that daredevils will be more than willing to pony up the extra cash.